they can build muscle a lot easier, however they still need to be dedicated and make that commitment to go to the gym and build that body. No amount of steroids is going to help you if you are sitting on the couch eating donuts. So if you want to build a better body by losing weight or building muscle, you need to start on the inside. Get inspired. Be motivated. Work hard. 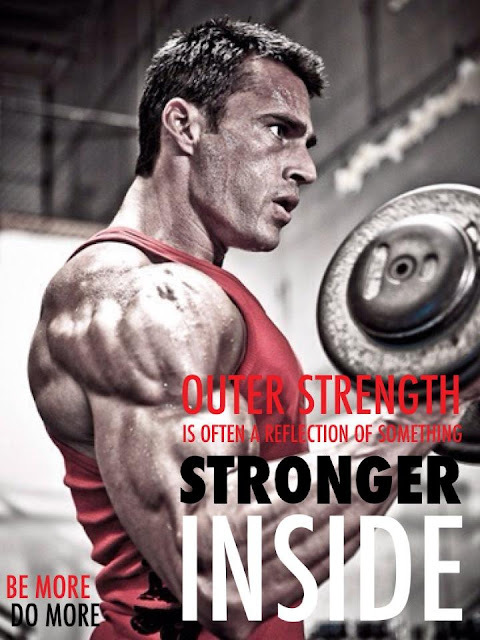 Outer strength is the reflection of something strong on the inside. Be more. Do more.